Christopher Hoddinott.com - To be a musician. As a class we will learn this chant as a round. Identify and clap the four different rhythm patterns shown at the top (all in 2/4 metre). 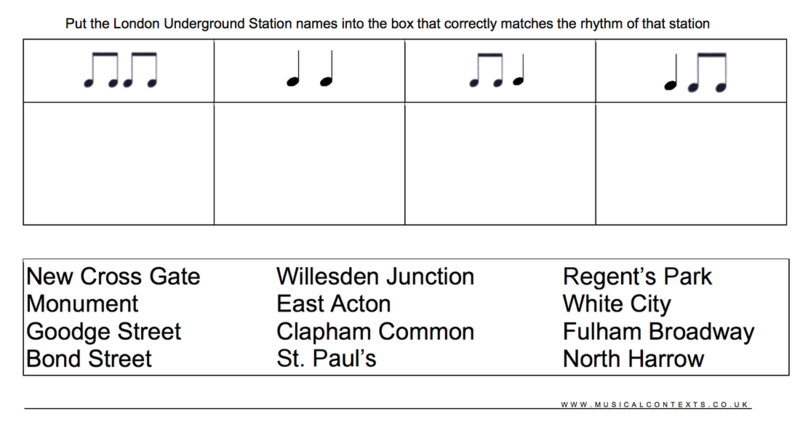 Next, ask pupils to try and clap, or speak out loud, the names of the given underground stations below and “fit” each one under the rhythm that best matches it. 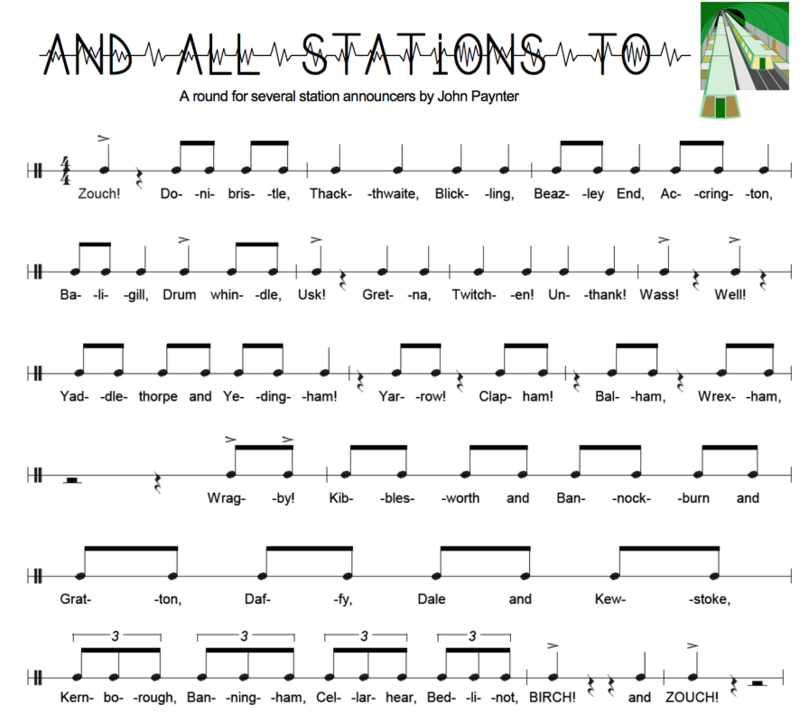 Discuss answers as a class and try clapping the names of the different stations under each of the rhythms to show how the names of different stations have similar rhythms. Create a “SCORE” of your music neatly using coloured pens on a large sheet of paper. You will perform your composition in front of the whole class. Homework; Turn your "Score" into a bright and colourful poster that would want people to try out your composition. Use paper and colour, NO computers. London Underground maps to download. To understand being a musician involves understanding the elements of music. Organise yourself into a group. 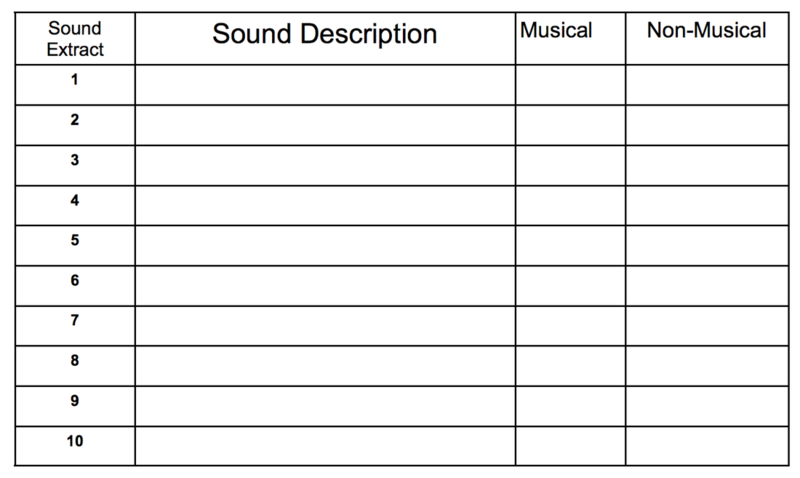 You will be given an element of music with instructions on a cue card. By the end of the lesson create a piece of music. First you need a bit of a drum lesson. Watch this video to give you the essentials on drum lessons. Circle Game – “Finding the Pulse” Assemble pupils in a circle. Introduce the concept of pulse by referring to pupils’ own pulse as a sign of life and suggest that life in music is maintained by its pulse. Can pupils find their own pulse? Fingers on wrists or side of neck. When pupils have found pulse, ask them to count silently how many times their heartbeats in one minute. Demonstrate your own pulse by tapping it out on your knee. Ask pupils to find their own pulse again. Call out someone’s name and ask that pupil to tap the speed of their pulse on their knee. Select another pupil and ask them to tap their pulse. Can the two pupils tap their different pulses simultaneously without altering the speed to match each other? Composing your own rhythm piece. Extension, You could improve your piece by adding half beats onto your rhythm grid or quarter beats or triplet beats. To continue with your understanding of graphic scores. Last week for your homework you were asked to complete your own graphic score. I want you together in your groups and judge which of the graphic scores is the most effective. I want you to evaluate the score and interpret it as a group making alterations of how you could improve the score. I then want you to perform the piece of music as a group by the end of the lesson. Circle Game –“Hotter/Colder” Assemble pupils in a circle each with a handheld untuned percussion instrument. One pupil leaves the classroom while the rest of the class decide where to hide a small object. Establish a simple 4-beat ostinato and play this as the pupil comes in. They move around the classroom trying to find the object in a “hide and seek – getting hotter/getting colder” formation. As the pupil gets closer to the hidden object the class uses dynamics (getting louder) to let the pupil know that they are near and (getting softer) when they are away. Can you see how the pictures represent the music? This last piece is created using the iPad app VISUAMUSO. If you have an Ipad you might want to try it out or another app MUSYC. Can you see how visual representations are used to give directions to make music. 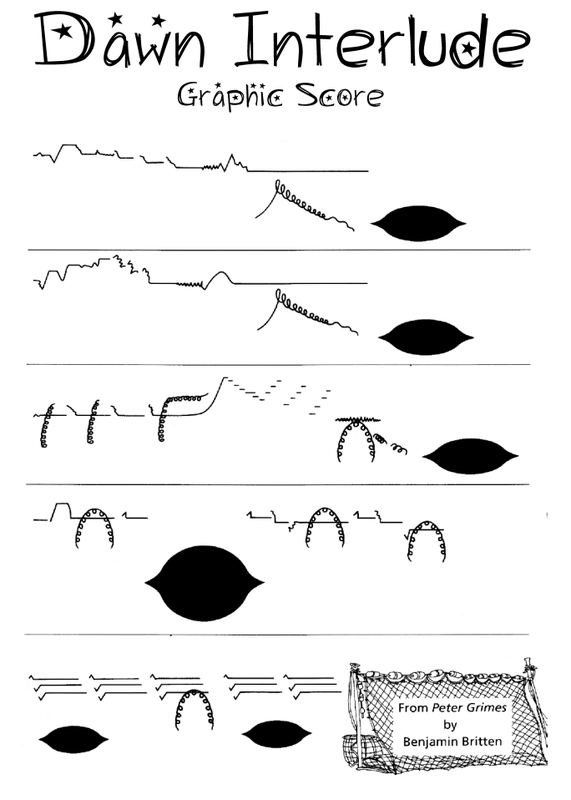 I want you to look at this graphic score and create your own piece of music in groups. I will listen to your performance at the end of the lesson. Write down on a piece of A3 or A4 Paper your own ideas for a graphic score. Think of it as combining Art and music, you might want to look at Kandinsky's paintings for inspiration.The music should form some sort of arch pattern as shown to you in the lesson. How many different types of musicians there are. What is a musician? Discuss in groups for 5 minutes What is a musician. You will share your answers to the class. What does a musician have to do? If not covered in the previous discussion. 5 Minutes and then report back to class. If you work through the video watch this video too. Music Education and the Brain from Anita Collins on Vimeo. Why do you think music is important? Do you think anyone can be a musician? What do you have to do to be a musician? What types of musicians are there? What careers are there in music? Submit your work on mangebac.